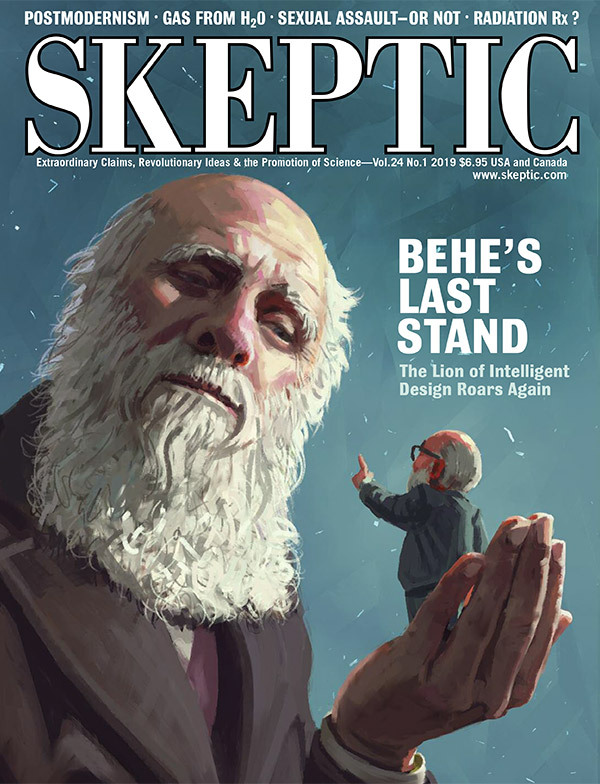 Skeptic » Reading Room » Hoaxed! The Cottingley fairy discussion includes the memorable line that for people of the time it was a “comfort to know fairies fluttered among them in a world changing at the newly discovered speed of light.” Young’s discussion of the Cottingley fairy hoax also exemplifies the thoroughness of his research, as he notes three points missing from most accounts: fairy proponent Arthur Conan Doyle’s father’s prior fondness for painting fairies, skeptic James Randi’s discovery of the source illustrations used to create the hoax fairies, and the late 20th century confession of one of the hoax’s perpetrators. Race is also prominent, either explicitly or by analysis, in many of the literary and journalistic hoaxes that take up most of the book. For example, the 1929 travel “memoir” by Joan Lowell is not overtly about race but does include interaction with black Africans who are depicted as both stupid and violent. Young also makes much of the faux African American slang in the popular fabricated memoirs Love and Consequences by Margaret “Jones” (really Margaret Seltzer) published in 2000, and A Million Little Pieces by James Frey, published in 2003 and subsequently exposed as fraudulent by Oprah Winfrey on her popular television talk show, after she originally promoted it as well as the author. Many of the headline grabbing journalism hoaxes from the 1980s onward have been overtly about race, including Janet Cook’s Pulitzer Prize winning fake Washington Post story, some articles by disgraced New Republic writers Stephen Glass and Rebecca Shallit, and the New York Times magazine cover story that led to the firing of reporter Michael Finkel. New York Times reporter Jayson Blair had an astonishing 36 fraudulent articles published before he was caught, and his memoir referenced slavery in its title. Bunk’s discussion of these is characteristically drawn out (in contrast to Hoax’s concise mention of a 2015 Gallup poll that trust in news media was at its lowest point to date). Yet, for all its focus on the U.S., on race, and on writing, Young wanders too much to be thorough on any of these themes. Young ignores the case of the musician Korla Pandit, a light skinned black man who feigned being from India to avoid racism (which is discussed in Hoax). 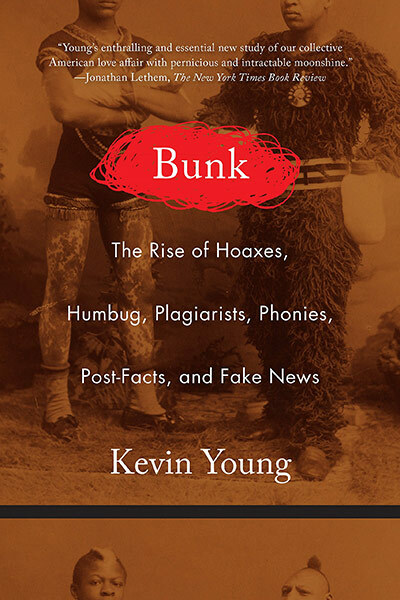 Although Bunk discusses Edgar Allen Poe’s hoax journalism at length, it does not offer significant discussion of the hoaxes of Benjamin Franklin or Mark Twain. Most surprisingly, Young does not even mention the much debated “automaton” chess player, which had a racial component (and was even written about by Poe). Most of the hoaxes discussed in Bunk took place in the United States, but many prominent ones are ignored. Young has many pages on hoaxes that took place elsewhere. Two examples are his discussion of the “half-hoax” anthropological controversy of the Tasaday people of the Philippines and his oddly extended takedown of the best-selling Australian “memoir” of a writer who claimed he met a (non-existent) lost indigenous tribe of space aliens. Despite literary hoaxes being prominent, Young ignores two that are discussed in Hoax: “Albanian playwright Jiri Kajane” (exposed in 2011), and the controversial “nonfiction” history Holy Blood Holy Grail, which speculates about Jesus’s bloodline (based on forged archival documents) in a way made famous in the popular novel The DaVinci Code. These absences are noteworthy since Young discusses poetry hoaxes at length and devotes several pages to novels that are not themselves hoaxes, but are mentioned only so he can use them as metaphors, with The Time Machine by H.G. Wells and Neverland (about Peter Pan) also being chapter titles. Throughout the over 500 pages of analysis, Young revels in metaphor, wordplay, and literary commentary that verges on pedantry. His Frankenstein commentary exemplifies his style: “We could call Frankenstein the grotesque’s revenge, the monster giving voice to, and indicting, all those [fake late 20th century memoirs] whose creators made them not just up but less than human.” He then mentions the “real monster of the Americas” (255). Bunk is often disorganized. For example, why does he have two pages on cyclist Lance Armstrong’s doping in the middle of the already confusingly arranged discussion of concurrent fake writer J.T. LeRoy? More troubling, Young’s comments on trends or theories are scattered and therefore somewhat repetitive and not as useful as they would be if summed up. Nor does he offer a timeline, which is especially frustrating given his jumping back and forth between time periods, almost randomly. The dizzying narrative zigzags would be easier to condemn if they weren’t also so often intellectually stimulating, so his book turns out to be a page turner anyway. Bunk has many asides on the history and development of words (etymology), making it all the more surprising that Young does not take care to clearly discuss his definition of the word “hoax” or directly address his inclusion criteria. One bonus to Bunk is its valuable annotated bibliography. It also has a few carefully chosen black and white illustrations, extensive endnotes, and an index that somehow lacks many book titles. In the middle of a page near the end of the book, Young characteristically hides his comment that he sees his contribution as analytical, compared to the many other books that list hoaxes superficially. If Hoax had been published earlier, Young might have been referring to it. 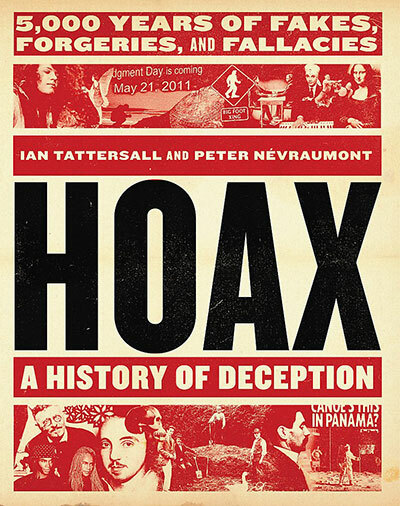 Hoax mentions many more topics in half as many pages, and half of those remaining pages are devoted to illustrations. In Hoax, authors Tattersall and Nevraumont explicitly disclaim analysis. Each of Hoax’s fifty chapters is only a few pages long and deals with one hoax or type of hoax. Unlike Bunk, which often confusingly discusses the same hoaxer in more than one chapter, in Hoax there is no overlap between chapters aside from an occasional helpful cross-reference. Hoax has no notes, but does include chapter-based “Further Reading” and an index. The topics discussed range from ancient gladiatorial fakery to a useless 21st century Bomb Detector. Several of Hoax’s chapters relate to religion, including examinations of Noah’s Ark, the Shroud of Turin, Pope Joan, and forged religious relics. While Hoax has no theme, about a dozen of its 50 chapters are directly about science or nature, and several others are about pseudoscience. One chapter, for example, uses a remarkable case of fraud in physics to highlight the weaknesses of the peer review process that allowed it to happen. Another chapter focuses on the hoax of Charles Darwin’s supposed deathbed religious conversion. Additionally, several chapters on hoaxes unrelated to science note the use of scientific methodology in investigating alleged fraud, including an inconclusive test using the presence (or absence) of radioactivity to date an allegedly antique bottle of wine. In discussing art forgery, the authors discuss the problem as being one of the perception of fairness, in support of which they cite a study involving Capuchin monkeys rejecting food as a reward if they believe that it was presented unfairly. Hoax admits that its selection criteria are idiosyncratic. That does not explain some of its inclusions, which the authors never defend: malicious bio-mimicry, however fascinating, begs the definition of fraud. Are failed prophecies of the world’s end a hoax if the claimants believe them? Is freezing of people in the hope of later thawing and reviving them for life extension (cryonics) a fraud? In an interesting counterpoint to Bunk, a chapter of Hoax is built around the 1972 conclusion that there is as much genetic difference within races as between them. (Young ironically ignores this). But is this a fraud? A more consequential divergence between the books is their analysis of fake memoirs. 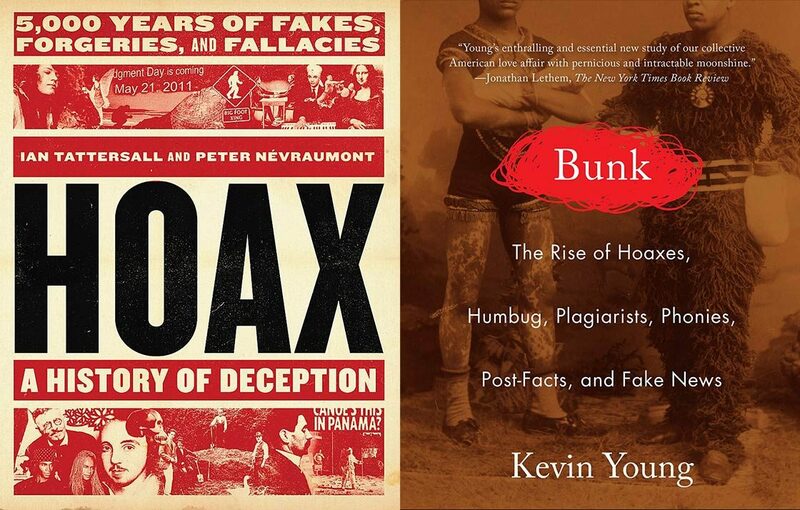 In Bunk, Young’s anger at their harm is palpable, while the authors of Hoax suggest that the distinction between fiction and nonfiction is overrated, given the fallibility of human memory and the literary merits of fake memoirs. The harm done by such bad data to scholarship, and the insult to genuine Holocaust victims (for example) is downplayed in Hoax. I have two more serious concerns with Hoax: first, the authors state in their Preface that “we have buried a tiny fraud of our own somewhere in this book” without stating that they will identify it in the Epilogue. I therefore felt nervous about believing anything in the book. Second, the authors contradict themselves about the dangers of hoax and fraud. In addition to endorsing fake memoir as not harmful, Hoax is co-dedicated “To all the con artists… who have kept the human enterprise going.” This contradicts the two authors’ tacit acknowledgement of the harm of hoaxes, such as in their inclusion of fake medical equipment, and their framing of two of their chapters by their longterm consequences (Lysenkoist genetics and fabulist journalism). Despite their drawbacks, Bunk and Hoax complement each other well in attempting to understand an important issue. These sound like two excellent books and they also sound like they’re intended for two different audiences. Hoax sounds more light-hearted so that is the one I’ll be bring to the beach. I am eager to check out the case of scientific fraud that supposedly illustrates the weakness of peer review … People get confused how peer review is supposed to work and how long it takes. Take the case of cold fusion: the authors, Fleischmann and Pons, went public before the scientific community had a chance to vet their work. They created a media circus with a very unhappy ending (for them) but less publicized was that the science part of that story worked _very_ well. In fact, it was a sterling example of how peer review is supposed to work – deliberately and methodically – and it was also cautionary tale about buying plane tickets to Stockholm prematurely. If you’re interested in con artists—especially successful (i.e. undiscovered) ones—have a look at marathon swimmer Diana Nyad: http://nyadfactcheck.com/.